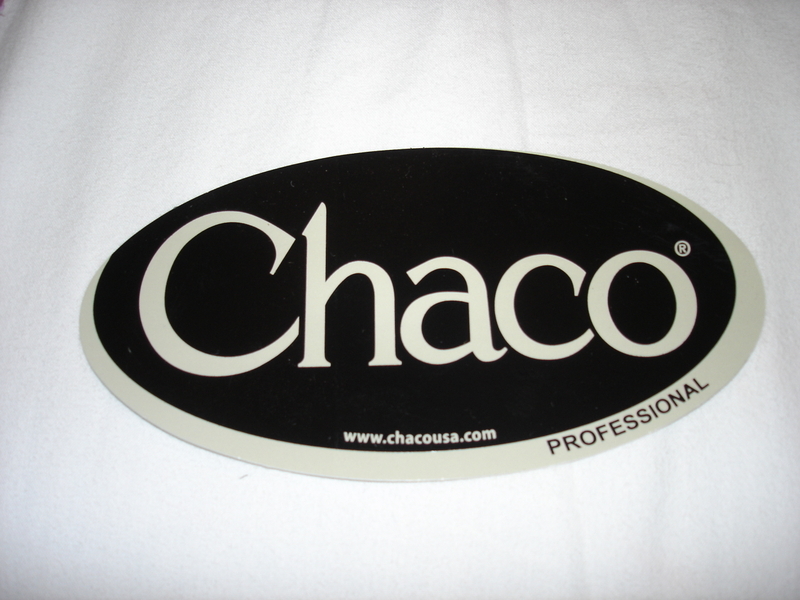 Chaco is a footwear company based out of Paonia, Colorado. They make great sandals and their motto is “Fit. Function. Comfort. 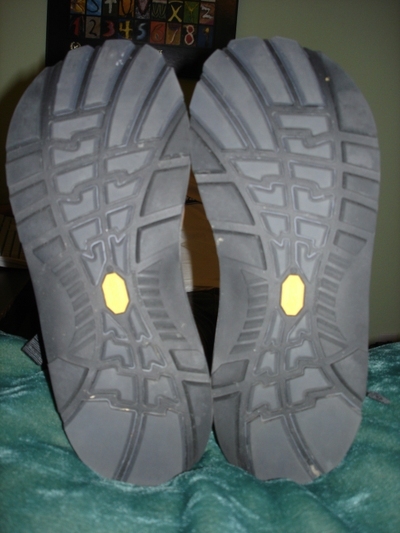 Quality.” We each have a pair of Chacos that we love and wear quite often. 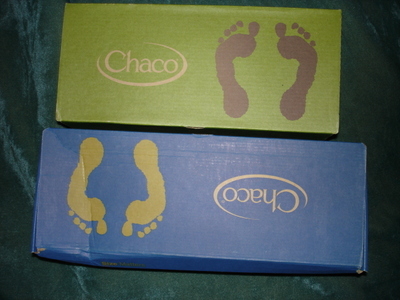 Chaco has several varieties of shoes, and several of their sandals are unique in that they have one continues strap throughout the entire shoe and no velcro. Chaco offers a special deal for Peace Corps Volunteers, so we couldn’t pass up the chance to buy another pair. Well they are in, and we love our new kicks. 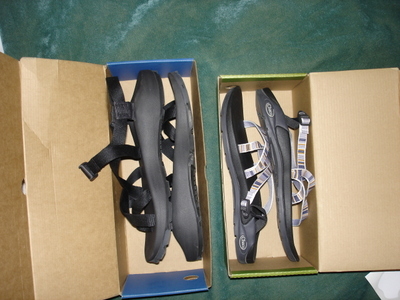 Check out www.chacousa.com for more info on our favorite shoes. Out of the box ready to go. It has been a week of tearful send offs, so longs, and farewells here in Uvalde. 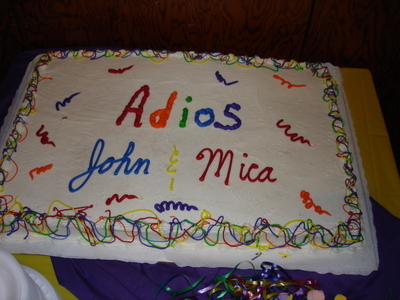 Last week was John’s last week of work at St. Philip’s Episcopal Church. On Thursday, February 1, at Day School Chapel, the students gave John a grand send off complete with well wishes, good byes, and a t-shirt designed just for Mr. John. That same day, my fellow teachers at Dalton surprised me with a farewell party. Sarah, Deanna, Carol, Jennifer, and Linda did a fantastic job. It was great for all of us to get together one more time before John and I leave. The Dalton faculty and staff even put together a memory album, address book, and sweet card, as well as a much appreciated gift certificate to Whole Earth and some funds to help us gather the supplies we will need for our journey. It has been great working with such a fun loving group of gals. I have made some great friends that have always encouraged and supported me. I will miss Dalton, and I am thankful for all that I have learned over the past 3 years there. Sunday, February 4, was our last Sunday at St. Philip’s. The day was filled with great food from our favorite Uvalde restaurant, El Charro, good laughs, and a few tears. The youth group even serenaded us with a fun loving song and fashion show of John’s t-shirt design and attire over the past couple of years. We have even begun to achieve the third goal of the Peace Corps, helping promote a better understanding of other peoples on the part of Americans, as we had a question and answer session about where we were going, what we will be doing, and what life will be like. We hope that we gave accurate answers. The community of St. Philip’s has been our family for the past five years. We are so thankful for the many gifts that they have bestowed upon us. They have taken care of us, watched us grow and learn, and have been a crucial part of who we are today. 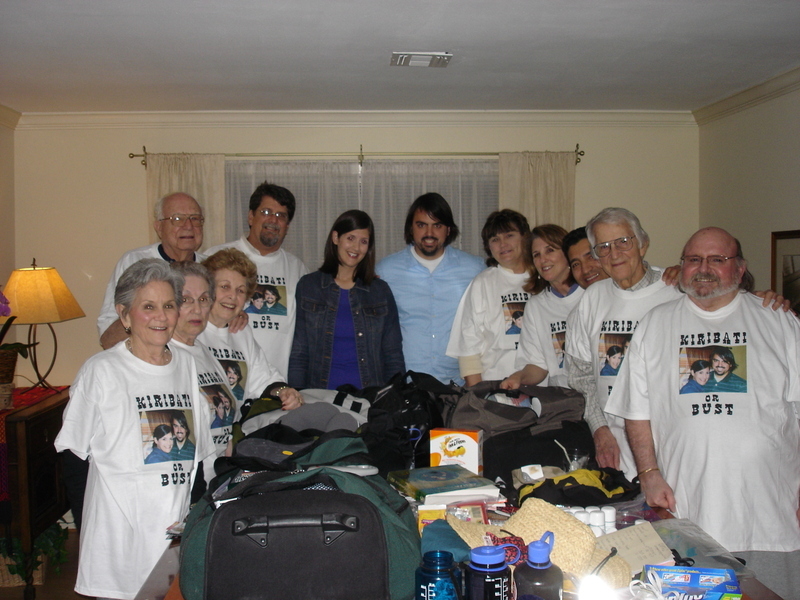 Their love and support was evident through the many cards, gifts, and well wishes given to us. It is hard to say good bye to a place that has shown us so much love. We are sad to leave, but we are so excited about our next adventure, and we know our friends and family at St. Philip’s couldn’t be more proud.